Project managers know the methodology you use will determine the speed at which products are created. Like a football coach building an offense around an entire gameplan, your methodology represents the framework from which many key decisions will be made. Instead of slugging through a heaping pile of ‘boring’ on Wikipedia over the next four hours, we’ve simplified the task at hand by distilling each methodology and the tools that make life with each much easier. So why in the world are there so many of these? Second, why don’t you just tell me the best one so I can be on my merry way? The problem is this: there’s not a ‘best one’ for every project. Projects that must quickly adapt to the competition need to be ready for immediate change. This is where Agile and Adaptive reign supreme. Some projects like building a bridge don’t necessarily have that much competition interference, and thus a traditional approach is ideal. There are also variants in the tools being used. Some software focuses on communication, collaboration, and clarity, and are very simple to learn. Crystal and Waterfall are the methodologies geared for this. Some tools involve tons of detail and advanced features, but costs users speed and ease of use. 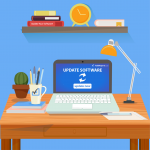 These tools include JIRA, Wrike, and LiquidPlanner. There’s no right or wrong, it’s entirely based on the team and project’s preference. But have no fear, that’s why we’re here! Let’s get started! Overview: Focused on speed, ‘Agile’ principles include focusing all effort around ‘sprints’. These are short windows of concentrated effort directed at a specific, working end-result within EACH window. Agile hates waste, and goes to great lengths to eliminate/reduce unnecessarily long meetings (as well as anything that isn’t tied to the current sprint). Why use it: By focusing on working end-results, teams stay focused on the #1 short-term priority. This intensity (combined with the focus on efficiency) can empower small teams to accomplish major feats under tight constraints. Overview: A subset of Agile, this methodology has a huge focus on ‘iteration’. By regularly taking time to seek improvements (in a structured and scheduled way), teams can start off with imperfect processes and end up with something highly refined. Why use it: Unsurprisingly, this is useful for those who like keeping their options open. If you’re afraid of getting locked into a wrong shipment, this could be a great fit for your team. Overview: Also a subset of Agile, Scrum is a simple “post-it note” themed approach to project management. Teams organize tasks onto cards which are then placed into a category, ranging from “idealist” to “in progress” to “seeking review.” Points are given to each card to determine the difficulty/size of a task. Scrum is a highly visual, extremely simple approach that can work for teams with almost no learning curve required. Daily Scrum meetings help locate inefficiencies and set everyone on the right path. Why use it: If you’re in a rapidly changing industry with competitors and landscape changing every day, Scrum is the place to start. Small teams benefit more than large teams due to quicker meetings, less overhead and cross communication, and a higher sense of responsibility. Overview: The safe, standardized approach. This focuses less on “ultra-fast results” or “extreme efficiency” and more on eliminating risks and measuring processes. Best optimized for large projects with little anticipated competition. Why use it: More familiar and natural for many teams. Appropriate for Large Projects, Products, and Construction work. 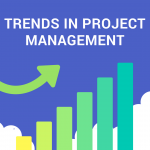 Overview: Waterfall project management is likely the most ‘long-range’ in that you’re planning far into the future with a high level of detail. Similar to the traditional method, this approach, involves breaking down your overall goal into smaller and smaller tasks – and then estimate the time each will take to complete. Why use it: For teams with deep experience estimating accurately, this can be a great approach. However, in areas where estimates are less certain, delays can cascade as more and more deadlines are missed. Overview: This is a collection of different Agile approaches, aiming to be “human powered” and enabling teams to be as flexible as possible. Unlike most methodologies, Crystal can be thought of as a family of ‘guidelines’ rather than strict rules (a la the “Pirate’s Code” from Pirate of the Caribbean). Why use it: Early on, very little is set in stone. Over time, as you learn, processes and tools become crystallized into place. How many members are there in this “family” of guidelines? To get specific, there is: Crystal Clear, Crystal Yellow, Crystal Orange, Crystal Orange Web, Crystal Red, Crystal Maroon, Crystal Diamond and Crystal Sapphire. Since it is true that everybody’s situation is unique, my aim is to help lead you to a more perfect software or methodology that will help your business. Just remember, your main goal is to pick a tool that invokes just the right amount of complexity for your needs.